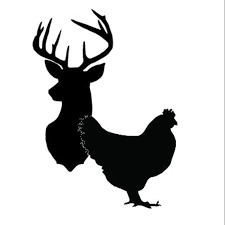 A totally different environment to your average Hen & Stag venue but a place where memories of fun and laughter are made around a campfire in the woods. Package includes an overnight wild camp experience staying in one of our tipis with your friends. Fairy lights, lanterns will be dotted around your area close to the campfire, adding to the ambiance of the natural surroundings. Looking for an activity during your stay with us? Our Natural Living Skills (NLS) programme will certainly be new to some but is delivered in a way that everyone will enjoy as well as getting an opportunity to acquire some new skills. We also have other activities for you and your friends to choose from - contact us for more information..
"Looking for that unique outdoor element for a hen or stag party? Maybe craft beer is more your thing? We can organise for local craft beer to be delivered, chilled, waiting for you when you arrive. Book your party with us during December and January 2019 and get a 20% off your catering!